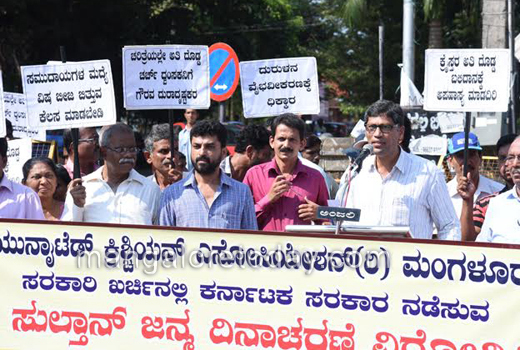 Mangaluru, Nov 7, 2015 :The UCA - United Christian Association, Mangaluru, staged a demonstration on Nov 6 Friday protesting against the government’s plans to celebrate the birth anniversary of Tipu Sultan, on the ground that the late Mysuru ruler had allegedly harassed thousands of Christians and killed some of them between 1784-99. Unresonable provoking sentiments of people, the government should work towards bringing peace in society and bridge the gap between communities, the association said. 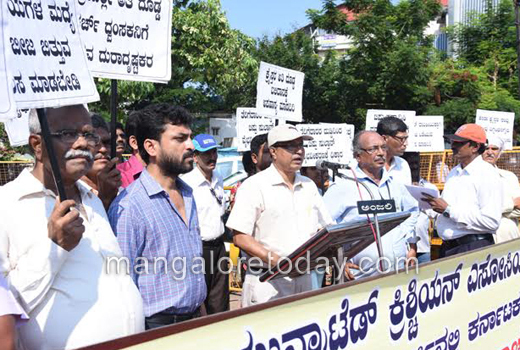 The association said that Christians in coastal Karnataka, Shivamogga, Chikkamagaluru and surrounding areas had suffered immensely during Tipu’s rule. It alleged that the ruler had kept over 80,000 Christians under captivity and killed many of them. He had also destroyed many churches during the period. Of the 80,000-odd Christians who had been captured and taken to Srirangapatna, only about 20,000 returned as per experts. 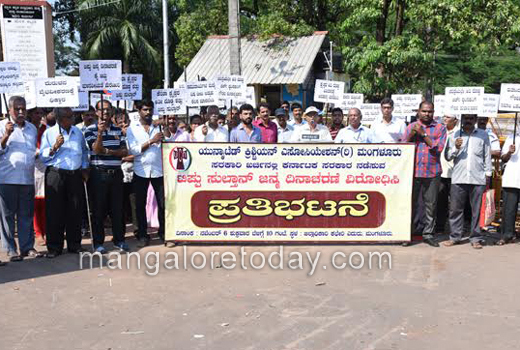 The government’s proposal to celebrate Tipu’s birth anniversary would add insult to the injury that the Christian community had suffered, the association said. The government should not have ventured into such an act where a communal ruler was being glorified. It urged the government to cancel the celebrations. 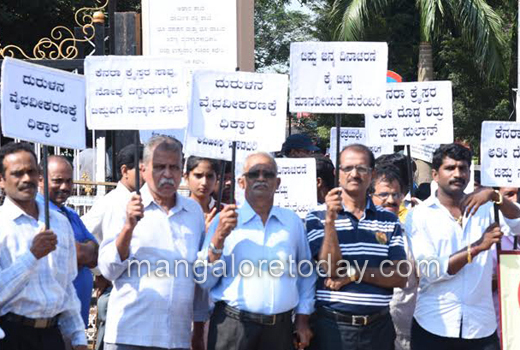 The members later submitted a memorandum to the Additional Deputy Commissioner. M.R. Prabhu, Marian D’Sa, Alban Menezes, and Maurice Shantipura were present.